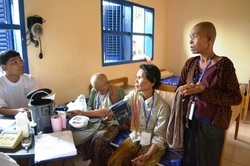 Our mobile clinics go to rural communities on a monthly basis. Many people live far from a pharmacy or health centre where they can obtain the medication they need for their condition. Our mobile clinics ensure that patients can get access to affordable medication and it saves patients the additional cost of transport to town. As well as providing monthly check-ups and delivery of medications, our mobile clinics provide counselling to help patients understand how to self-manage their condition. 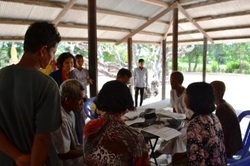 The mobile clinic team also goes to other NGOs and companies to provide screening and information for their staff. In 2012 a number of large hotels provided this service for their staff.